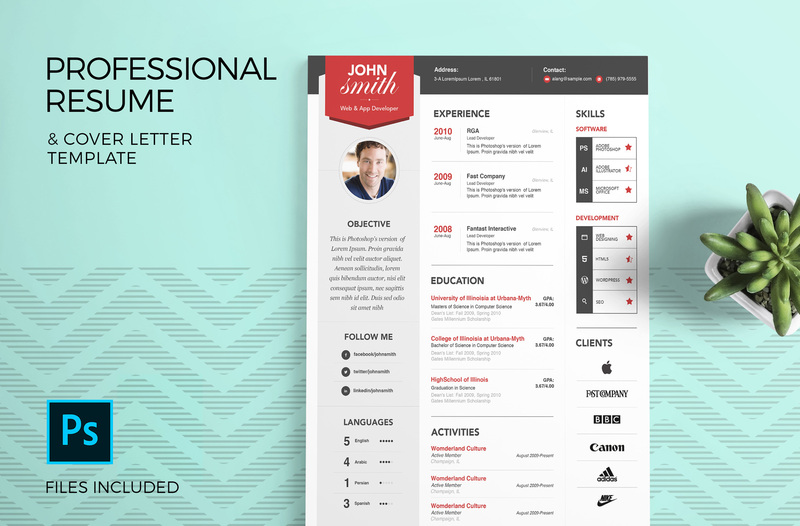 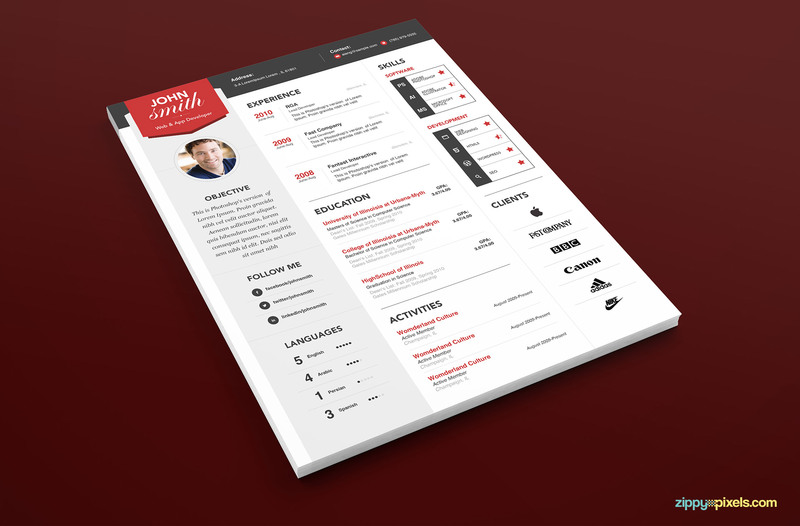 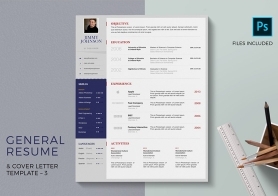 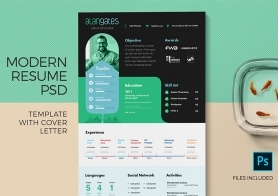 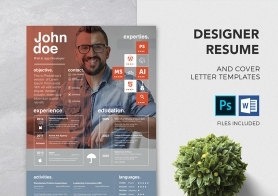 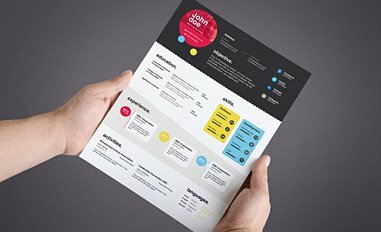 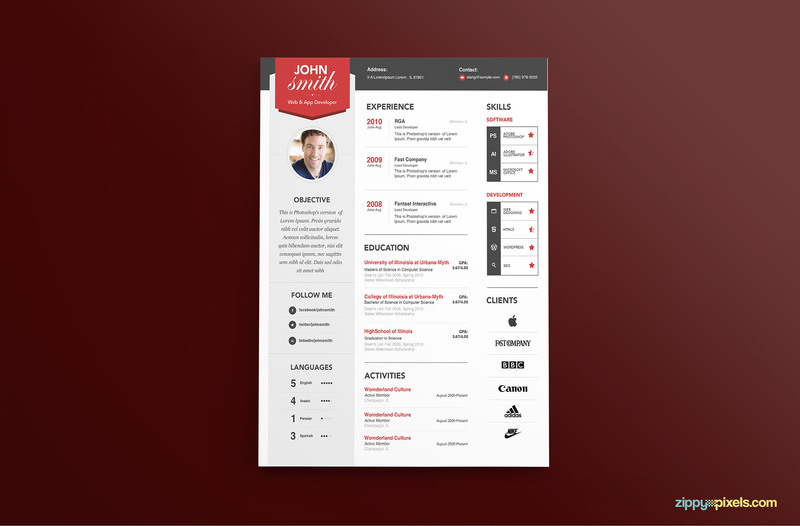 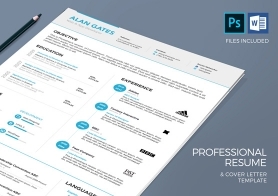 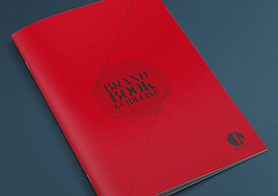 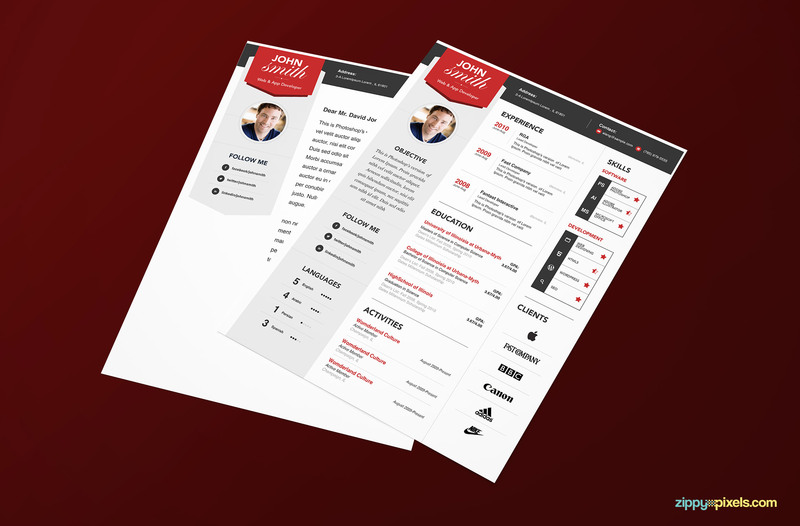 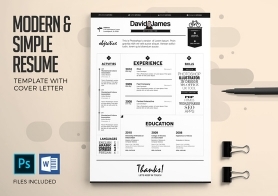 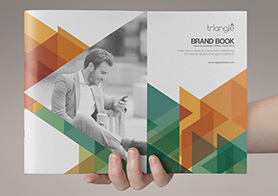 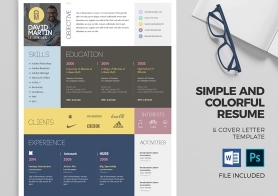 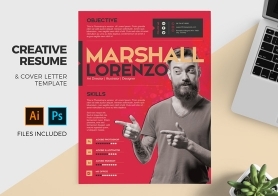 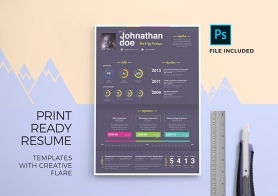 A modern print ready resume template with an interesting design like a website homepage with dual sidebar. 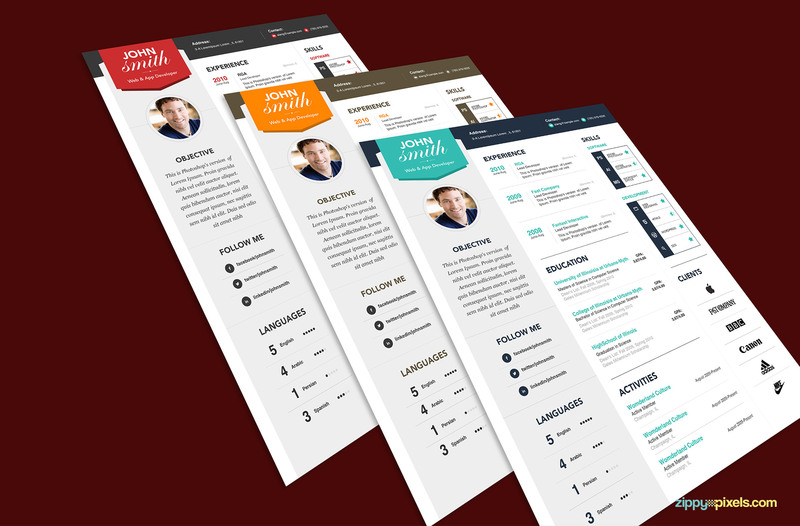 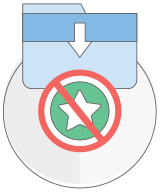 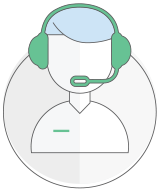 Right & left sidebars shows widget like sections for your name, objective, social networks, skills and clients. 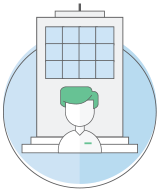 While the middle area shows your education, experience and activities.